There is an article on Modern Healthcare from last week entitled Envision ponders the once-unthinkable sale of its ambulance business. For those of you unfamiliar with the Envision name you are probably more familiar with their ambulance holdings, American Medical Response (AMR). At Raymond James, Holden said Envision’s debt is about 4.3 times EBITDA, which is above the 3 to 4 times EBITDA that the company feels comfortable at. If AMR were to be sold, it would bring Envision down into that range, he said. EBITDA stands for Earnings Before Interest, Taxes, Depreciation, and Amorization. While this is not used in the accounting calculations to determine profit/loss, it is used in financing strategies as an indicator of how an operation is performing. It is also worthwhile to note that AMR is not the only division Envision is looking to divest from. The smaller “population health management” Evolution Health is also apparently being shopped around. You may be asking yourself, what exactly is “population health management”? That is the corporate speak for Mobile Integrated Healthcare. In a free market, goods and services are allocated through transactions based on mutual consent. No one is forced to buy from a particular supplier. No one is forced to engage in any transaction at all. In a free market, no transactions occur if a price cannot be agreed. The medical industry exists almost entirely to serve people who have been rendered incapable of representing their own interests in an adversarial transaction. When I need health services I often need them in a way that is quite different from my desire for a good quality television or a fine automobile. As I lie unconscious under a bus, I am in no position to shop for the best provider of ambulance services at the most reasonable price. All personal volition is lost. Whatever happens next, it will not be a market transaction. What he fails to recognize is that it is not a market transaction from the perspective of the medical industry either. For that matter the healthcare industry is placed at a greater disadvantage than the patient. The Emergency Medical Treatment and Labor Act (EMTALA) of 1986, signed into law under Republican President Ronald Reagan, REQUIRES the medical industry to provide emergency care regardless of the ability for the recipient of those services to an agreed upon price. The Fast Food Industry equivalent of this would be if there was a law that required restaurants to give everyone who came in and said they were hungry a cheeseburger. If they said they were still hungry after that, another cheeseburger. A cheeseburger until they were no longer hungry and THEN ask them to pay for the cheeseburger. If they can’t pay for it, oh well… they can go on their merry way. The restaurants can still bill them for said cheeseburger(s), but it’s a bill they can ignore for years and by the time the restaurants get around to collecting on it (if there is anything to collect) the cost of collection can be much greater than the cost of the cheeseburger. The food delivery guy is the equivalent of EMS in this scenario. I will be the first person to tell you that the ACA was far from perfect or even good legislation. I was not a fan of the way the ACA “controlled” healthcare costs through price setting of services regardless of the cost of those services, a practice carried over from the Centers of Medicare and Medicaid. I was also not a fan of the way the ACA empowered fourth-party managers with little or nor incentive to work with providers, while the one-sided “customers always right” mantra empowered patients that had little to no understanding of what healthcare actually means. If it takes a village to raise a child, it takes a village to care for the sick. What it did do was, through the personal mandate, provide some funding for the unfunded EMTALA mandate. Yes, it took over 20 years, but there was finally a way to cut down on the costs of rendering free services to the uninsured. It was with this change that running 9-1-1 service for an ambulance company was not necessarily going to be a financial loss. With the ACA being repealed and replaced with a plan that by the Congressional Budget Office estimate 24,000,000 people will be uninsured bringing 9-1-1 service back into the financial red. Envision, at the end of the day, is a corporation that needs to make money for their shareholders. Continuing to support such an expansive EMS operation and fund Mobile Integrated Healthcare (that still lacks a clear financial incentive or proven reimbursement model) does not make business sense in a “free market” economy. EMS has historically been plagued with underfunding from the government and over expectations of the public. This has created a lowly compensated work force in a demanding environment with a greater provider churn rate then the other Allied Health Services. This spiraling downward cycle will continue until private EMS agencies are no longer viable business models, forcing municipal funded services to take on the inter-facility work draining their resources more, and finally resulting in the complete Federalization of the Emergency Medical Services across the board. This isn’t a 5-year, 10-year, or even 20-year outlook (hopefully). However in 50-years or maybe 100-years, this is where I think EMS will be. You won’t trace that result back to the AHCA of 2017 or ACA of 2009, but rather to EMTALA of 1986. While EMTALA may be the source of the business implosion, it is the moral requirement of the American way… until of course it isn’t anymore. 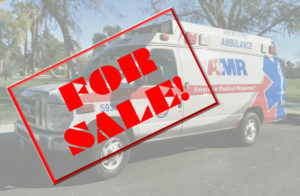 In the meantime AMR, the largest Emergency Medical Service provider in the United States is up for sale. If cutting EMTALA is the reason AMR is being sold how did it ever turn a profit before the AHA? This article is bogus. Don’t blame Trump for this, especially before we know what he is going to do. What?! Do you stick your kid in a room with a rattlesnake and say the same damn thing? We know what Trump is going to do. He’s told us with his biggest words and he’s told us with his cabinet picks. He’s going to make the rich more rich and make us pay the bill. Don’t kid yourself. But also, private healthcare is frightening and inhumane. When a company’s bottom line is shareholder interests, yet what they serve is life saving care and medicine, that doesn’t work out. I’m tired of hearing people complain about indigent patients and non-payers when there are people making so much money they could pay for everyone’s healthcare in America. Healthcare isn’t a cheeseburger, or ten cheeseburgers. The general public is severely miseducated as to what healthcare is and does, but we could all be making greater strides towards changing that, as could AMR. But blaming the public, especially the poor, for not comprehending this twisted, ridiculous, confusing system that most healthcare workers don’t even comprehend? Give me a break. Give them a break. The article isn’t bogus. I don’t believe he should be blaming EMTALA directly, but he is correct that this new health care bill is going to hurt EMS reimbursement. I don’t think that is hard to see. If people are forced off Medicaid, they will go to the doctor less often and require more ambulance rides when their conditions get worse. Also, they won’t be able to pay for those ambulance rides. This will have a negative impact on all EMS – private and public. Jake thanks for proving my point nicely. The problem is you don’t understand the actual article or what the American Health Care Act (Trumpcare) is doing because EMTALA is NOT what is being repealed. As I mentioned in the original article, 9-1-1 service historically was a financial loss for companies that provided it without subsidies, stipends, or some sort of grant funding. With the ACA (not the AHA as you seem to believe) and the additional coverage afforded to the more indigent populations through it, providing 9-1-1 service could actually be profitable. Prior to this profitability centered around inter-facility transfers, where reimbursement is much tougher due to medical necessity and other requirements. The people who should be REALLY concerned about all of this though is all the fire departments that have taken on an EMS role in order to fill the gap in their budgets through ambulance billing. If you want to bring up bogus, your e-mail address of hillarysmailserver@gmail.com seems to be just that. The article isn’t bogus, it’s just above your level of comprehension. Don’t go blaming Betsy Devos for that! Having been an AMR employee for the past 16 years (starting in the Laidlaw era) I’ve been bought and sold probably four times. Taking the company public and back to private isn’t nearly the harbinger of doom you’d like us to believe it is. In the end these transactions have little, if any, impact on field providers and local management. This post is, at best, fear-mongering for current AMR employees. Additionally (and without engaging in the political discussion which is sure to derail any worthwhile discourse here) your correlation between the pending demise of the ACA and the AMR brand going on the market is shaky at best. While the ACA did have a personal mandate the trend has been towards high deductible plans which means that EMS has been billing patients the same way we always did until they reach their deductible or out-of-pocket maximum and the insurance payout kicks in. Additionally, more insured patients means more people getting billed at insurance contracted rates rather than UCR. This means less potential revenue not more. I’m not honestly in a position to speak to the financial impact the ACA had on AMR as a whole but I can tell you that the link you draw between “Trumpcare” and the decision Envision made to divest from the AMR brand isn’t a compelling one. Honestly Dave I’ve read your work for years and have enjoyed the majority of your posts but this article feels a little half-cocked. Spot on brother. In my 11 years it’s been sold a bunch of times. I came in when Laidlaw was selling. 14 years. I agree as well. I never said that being sold was a “harbinger of doom”, that is what you (and others) have read into it. I would absolutely disagree that the transactions have little impact on field providers and local management. As you are surely well aware, during the Laidlaw era AMR was not nearly as focused on healthcare as it has been recently. It was transport focused because that was what Laidlaw understood, transportation equated to revenue. It wasn’t until 2010 that AMR named their first ever Chief Medical Officer and began the transition from transportation company to healthcare provider agency, making it more attractive to sell the following year from Onex to private equity firm Clayton, Dubilier, & Rice. I have some experience with private equity firms in EMS, and seeing the EBITDA acronym in the Modern Healthcare article made me cringe. Better a sale than a Chapter 7, of this I can assure you. Insurance contracted rates wouldn’t be an issue if every insurance company didn’t try to use the Medicaid rate as it’s rate by default. Of course, then I read stories about how even under insurance contracted rates there is plenty of revenue being generated compared to the actual UCH (Unit Cost per Hour) of the service being provided. The fact you bring UCR (Usual, Customary, and Reasonable) up is interesting. Partially because one (UCH) is actual cost and the other can be relatively subjective (UCR) depending on locality. Nevertheless fewer covered individuals will result in less actual revenue collected. On paper it does indeed look better, especially when you are looking at accounting practices such as EBITDA, but in reality that is deceiving. You can’t pay people’s salaries or buy equipment with write-offs… at least not yet. Perhaps the article may seem “half-cocked” from your (admittedly) biased perspective, but I assure you it is the product of much thought, analysis, and observation from a higher atmosphere than most. I have a real problem with blaming President Trump for this. Blame the tone-deaf leadership at Envision for this. They wanted to be ahead of the so-called curve and do “community paramedicine” when no one has yet figured out a steady funding stream for this, which ObamaCare wouldn’t have guaranteed anyway. They failed to keep up with the political winds, which is a cardinal fail in a field as heavily regulated as healthcare is. Actually I would disagree with that description. I think if anything the leadership of Envision have been on top of the political situation, invested in areas that are/will be profitable with the anticipated changes, and are looking to divest at the right time. I also don’t think I’m necessarily blaming President Trump… because had the same broad based repeal of what is the closest thing to EMTALA funding that we’ve ever had been put forth by a President Bush, President Cruz, or President Putin (?) then I would have used their name with the “care” suffix. It’s funny how people become so polarized and focused on one aspect of a post. Whether it be the prospective sale of a private corp, the attribution of financial shortcomings on a political figurehead, or that over hyped concepts lack incentives… while ignoring the uncomfortable fact that an industry mandated to provide services with no guarantee of reasonable financial reimbursement still is NOT a free market. 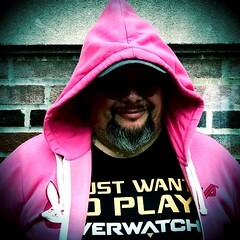 But don’t worry… I’ll be following up on this… amongst other things. What Patrick said about is spot on correct. This blog post is dripping wet with liberal socialism and blaming Trump for a law that does not even exist yet! AMR has a responsibility to manage its own operations and no doubt they would welcome that 20% corporate income tax cut if the Dems in Congress actually let it happen. I would recommend you go back and read the second paragraph of your disclaimer. Stating that something isn’t perfect, but is better than what existed before (or will exist in the future) is lazy. You know as well as I do that research is largely trial & error. That is why change takes such a long time. Congress had to know that the ACA was flawed, yet refused to even attempt to resolve the problems. To blame the current administration for the sale of AMR before even having the most basic understanding of what (if anything) is going to change; and assuming that any of those changes will automatically be detrimental to providers is foolish. I understand that this blog is your opinion and you are certainly entitled to it. I would hope, however, that you at least attempt to make your opinion an informed one and not just another excuse to bash the president. I think your understanding of EMTALA is horrendously askew and it really destroys any fundamental argument you were trying to make. EMTALA governs hospitals, and hospitals only. It has zero governing authority over pre-hospital EMS. No federal law or mandate exists that requires EMS providers to transport anyone, for any reason, regardless of their ability to pay. Some states mandate it, but it does not exist on the federal level and it sure isn’t governed by EMTALA. I suggest that those, with a passion for this subject, read about the Omega Project for EMS. My apologies if this retort sounds harsh in its criticism, but facts are facts. I don’t believe my view of EMTALA is necessarily askew, but is rather systematic one. With the exception of hospital based ambulances there is no direct EMTALA regulation for EMS. However I do not think that you are giving it the credit for the expectation that it has created in our society of free healthcare. I absolutely believe and endorse advanced telephonic triage such as what the Omega Project has done, although I do think that it needs to go a step further than saying, “No, you don’t get an ambulance.” What stops them from calling back and learning the keywords to get the ambulance? How many agencies are going to risk the liability by allowing on scene or remote transport referrals? That used to be an option in many systems, but after lawsuits and high profile media reports that option has been rescinded. I believe one of the reasons that Omega Project and similar programs have not gained traction is because of the expectations created in the community by EMTALA and the wildly successful public education campaign “Call 9-1-1“. I think cooperative agreements with alternative transportation providers, such as Uber, is a great way to take a load off the system. Unfortunately that still does not address the issue of reimbursement, and even with those cooperative partnerships how do you then reimburse those transportation providers? Without reimbursement not many of them would be willing to provide such services. This problem could be addressed with Community Paramedicine programs or Mobile Integrated Health programs bringing the care to the patient instead, but reimbursement for those too is unreliable at best. Facts are indeed facts, and as Jake pointed out for me, the majority of bad debt in healthcare (including ambulance service) is due to EMTALA. Speaking for Envision as a whole: They increased their revenue by over 1 billion from 2015 to 2016. But they whipped that revenue increase out by a 1 billion dollar increase in administrative costs from 2015 to 2016 – which counts for a large portion of their operating expenses. Their debit has increased 6-7 times from 2015 to 2016 as well – none of this should come as a surprise as Envision spent last year making a couple of merges including the Rural Metro one. Point being I feel as if they found themselves in the classic “Grow or Die” situation forgetting that you need to have money to begin with to grow. Add the financial crunch they are obviously are in with Healthcare Cutbacks and the answer I come up for everyone is Abandon Ship. Dumping AMR will help bail out the boat but Envision as a whole is one or two years of negative results away from being brought out themselves. I just hope for the community’s sake that someone with business sense gets the AMR part. The mandate under the ACA didn’t help hospitals with uncompensated care costs. I’m not sure how you square that particular circle, but the mandate was set up to hopefully control the costs associated with the coverage mandates under the ACA. By increasing the risk pool, it was hoped those who are healthy and don’t use the system would supplement the limitations on premium adjustments and those who use far more than their premiums cover. Unfortunatly, this didn’t actually work. EMTALA also isn’t the costs driver you portray it to be. It requires a screening exam and stabilization, not long term free care. There are a couple of drivers that weren’t helped by the ACA, and continue be relevant; over use of technology and lack of access to primary care which drives people to the ED (the most expensive place to get care). The CBT scoring of mentioned is assuming two things: 1) all those who only bought insurance because of the mandate will discontinue their coverage, and 2) all those on the expanded Medicaid roles will no longer have insurance. Both are flawed in reality, but the scoring is done based on specific perimeters so it is what it is. Attempting to take that info, which was just released, and somehow make a corollary that a billion dollar company made a snap decision to divest because of it (expecially when it doesn’t even have enough support to pass currently) is a stretch of epic proportions. More likely, they bought AMR at a time when there was hope for increasing revenues and decreased costs in the market, but many years later that hasn’t come to pass so they are looking to get out. Since neither the PPACA nor the AHCA really talk about EMS at all, and EMTALA is almost 40 year established law that isn’t going anywhere, it doesn’t make sense to argue that either had any real impact on their decision. For those of us who want to learn more about EMTALA can you cite what portion of the act addresses EMS? The Lord will provide for the companies and their employees if we are looking to Him alone. “Trumpcare” doesn’t exist. ? AMR has been for sale and bought 2-3 times in the past 10 years. In addition, one of the biggest challenges of EMS finances is reimbursement for services rendered. With Obamacare (aka extended Medicare) people that obtained “insurance” were essentially given Medicare. Under Medicare the reimbursement for EMS services is roughly 10 cents on the dollar of actual billing. Since Medicare laws apply such people can not be billed for the other 90 cents. Couple this issue with the abuse of services and the lack of accountability for “entitlement” distribution, the problem is compounding. Jobs, accountability for actions/lack thereof with checks and balances are the catalysts that will turn the industry and society back around. “Profits” in the healthcare industry are nearly solely in place to offset the losses caused by limited reimbursement from Medicare and Medicaid. Under Medicare the reimbursement for EMS services is roughly 10 cents on the dollar of actual billing. – Again, it was MediCAID and actually MediCAID rates are usually around $.20-$.30 of the actual billing. Of course that’s BILLING, not actual COST. As mentioned in my response to Patrick there is a vast disparity between what gets billed, contracted prices, and the actual cost. In this I will absolutely say that MediCAID is the least desirable form of compensation because it arbitrarily sets rates and providers are FORCED to take them. If a provider chooses NOT to take MediCAID, then they also cannot be reimbursed by MediCARE that has far better reimbursement. In this aspect, yes the government is once again strong arming an industry to practically give away their services. How is this a return to the free market again? Seriously Ken, make SOME effort to be in the realm of reality. This ignores the giant underpayment of Medicare and Medicaid. It’s around 60% of cost. More Medicaid patients do not mean more money. Money lost to Underpayment by Medicare and Medicaid are greater than the money lost to people with no insurance. According to American Hospital association this is true for Hospitals as well. Hospitals pay 60 billion dollars out of pocket each year treating Medicaid and Medicare. That’s almost double the lose of money to people with no insurance. Hospitals received 20 to 30% higher reimbursements for services.